Do you hear the term "traditional wedding" and think stale or out-dated? Or worse, you hear "DC wedding" and immediately think over-the-stop and stuffy? Think again, my friends. The planner behind this week's Planner Profile feature has a gift. 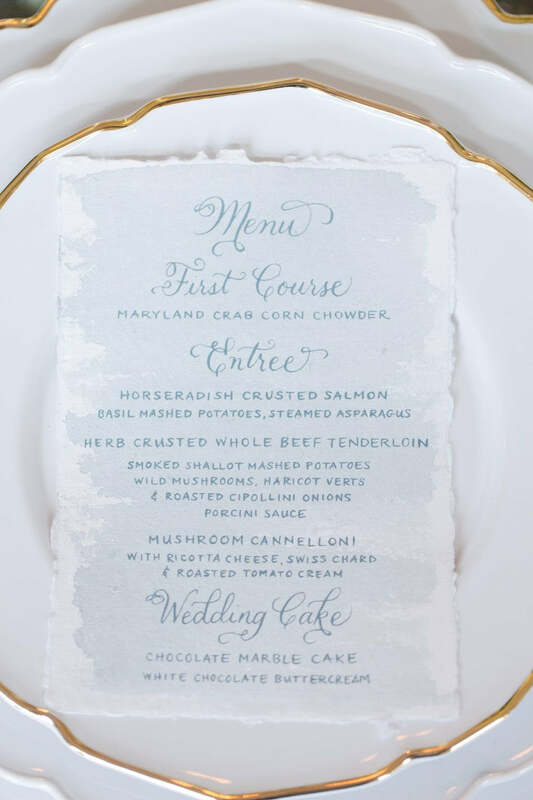 She takes the traditional DC wedding and adds a fresh, modern twist resulting in some of the most clean, classic, chic and flawlessly-executed celebrations around. 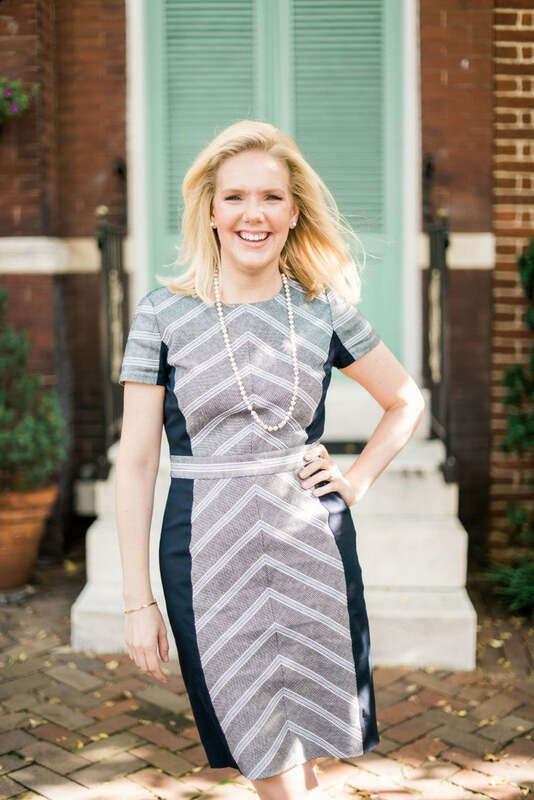 Without further adieu, I'm thrilled to introduce you to Caroline Dutton, owner and founder of Washington, DC-based Caroline Dutton Events. Tell us how you became a wedding planner! So, this is the part where I’m supposed to tell you that I always grew up wanting to be a wedding planner. Well, that’s partly true. I was certainly the young woman that devoured wedding magazines, reading them from cover to cover and tearing out inspiration for my future wedding day. That has never changed. I still do it because I’m very visual in that way. But, in college I studied something very unrelated and when I started in the corporate world (investment banking, can you believe it? ), part of my responsibilities involved event planning. I naturally kept gravitating back to celebrations and even fell into helping a friend with her wedding. 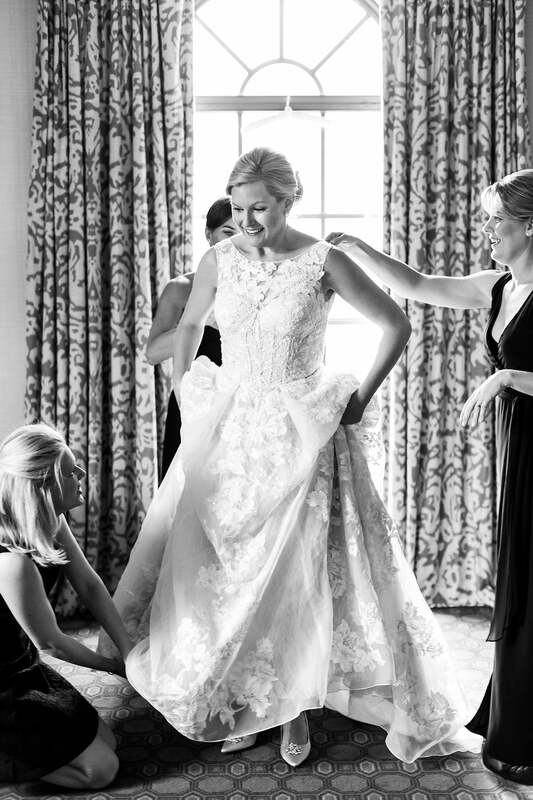 On her wedding day, it finally clicked—I loved this and I realized I could actually have a career doing it! It may sound like a roundabout path, but I wouldn’t change it for anything in the world. In fact, I love that I had 8 years of experience in corporate America before starting my own business. It’s that background that enables me to plan and execute, using my right and left brain. I focus on the little details all while keeping the big picture in mind—and the budget too! Describe to us your ideal client. I love to work with couples looking for a personalized planning experience, from start to finish! 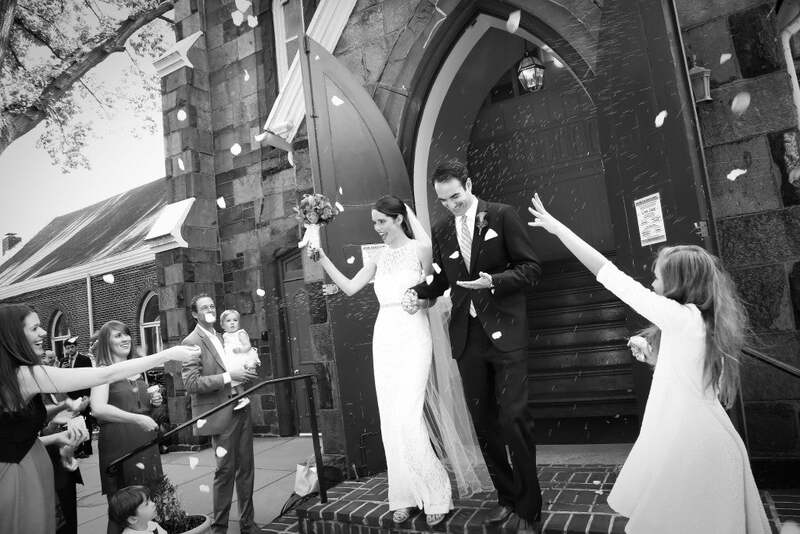 In terms of style, the classic, elegant and romantic wedding is always right up my alley. 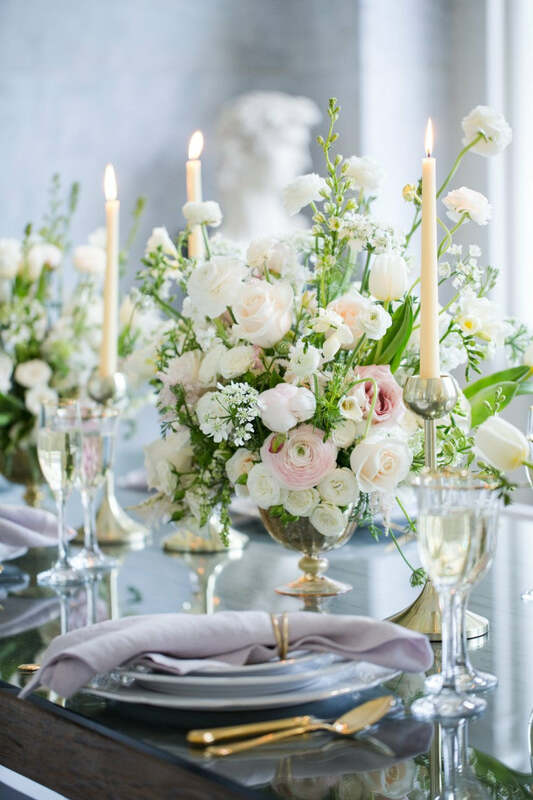 If a couple is looking for a timeless and sophisticated soiree with personalized touches—things that are uniquely them—well, that’s my specialty. Whether I’m helping a couple find an invitation that pays tribute to how they met or discovering a cake flavor that represents the blending of two cultures, I adore clients who want each and every element of their wedding to reflect not only their present, but their future life together and their family traditions of the past too. Classic with a modern twist. For weddings that often means a timeless design that you will still be just as happy with 50 years from now, but still incorporates your personality and taste! “Traditional” doesn’t equal “boring” in my book. Why do you think it’s important to focus on the guest experience when planning a wedding? Oh gosh, guest experience is everything! How do you want your guests to feel at your wedding? Imagine a party at your home and how you think about making everyone feel welcome and important—it’s just like that, only on a much larger scale! Honestly, even the swankiest affair can still feel intimate and comfortable for guests. Your guests have traveled from near and far to be a part of your special day, so you want to make them feel wanted and appreciated. Believe me, there are lots of decisions to make when planning a wedding. But, by focusing on the guest experience and the feeling that you want you guests to have—that can not only serve as a guiding light for your decisions throughout the process, but also a way to create an unforgettable experience. The last thing a wedding guest will remember years after the wedding is how good the cake tasted. However, they will remember that you welcomed them at the hotel with a thoughtful gift basket, provided transportation to make it easy for them to get around Washington, DC, that they laughed so hard at the ceremony they cried, and that they had the time of their life on the dance floor with you, the couple. Again, it’s all about the emotion and experience. Memories that will last a lifetime! What are some trends you’re seeing in terms of creating guest experience? Interactive guest experiences are definitely on-trend right now, and for good reason. From photo booths where guests pose with creative props and create memories with family and friends, to a fun, interactive activity like a food truck from your favorite donuts in the city--more and more couples are incorporating experiences that offer a hands-on element for their guests. Things like signature cocktails still remain very popular. It’s an easy way to infuse your personality into your wedding! Most importantly, couples are looking for ‘one of a kind’ experiences that their friends did not have at their wedding! What do you want prospective brides to know about wedding planning that might potentially help them? Planning a wedding can be fun, exciting and downright enjoyable—if you let it be! Yes, you heard me right—wedding planning can be fun, but it can also be very stressful. At the beginning of the planning process I always like to remind couples that is your first, and probably largest, celebration you'll ever plan as a married couple. It can be tempting to rush out as soon as you get engaged and start booking vendors--so many ideas and undoubtedly, opinions from family and friends. One, just enjoy if for a bit. And two, these large decisions at the beginning will set the tone for the rest of your wedding. Make sure that you are on the same page as your families at the beginning and come up with your priorities. It will help you guide decisions and also keep your budget in check. Oh, and hire a wedding planner. I’m not just saying that because I am a wedding planner. But having a good planner can help you navigate these early challenges and keep you on track throughout the process. Helping you create not only a memorable event, but allow you to truly enjoy your engagement—and the process. It goes by quickly. Believe me! Oh gosh, I love a first look! It’s such a special moment and I’m the first one to tear up. But, it’s such a personal decision for each and every couple—I say, be true to your heart on this! Carolina Herrera, Amsale, Oscar de la Renta…should I go on? I swoon over tons of different styles, but these would be my favorites. The travel bug in me says—anywhere makes for a good destination wedding. But, honestly, Paris is always a good idea! Just one?! 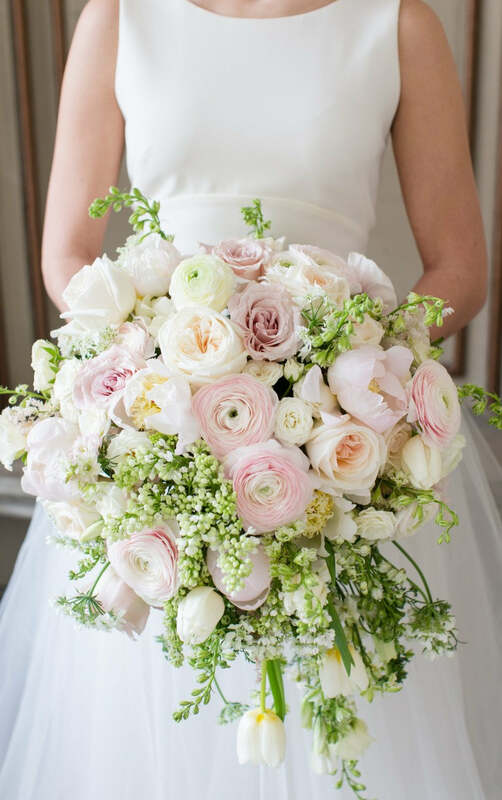 Flowers bring so much life and joy to any situation—give me a classic bouquet with a hand-tied ribbon, suspended floral arrangements of a cascading bouquet. I love it all! But, I’m currently obsessed with bridal bouquets of a singular flower: Lily of the valley, for example, or installations and arrangements with a singular floral, like white tulips. Splurge: Manolo Blahnik Hangisi Pumps in Blue. Sentimental: Something meaningful, like a handkerchief monogrammed with your wedding date! Thank you times a million Caroline for sharing your background, signature style and words of wisdom with us today! Much appreciated! 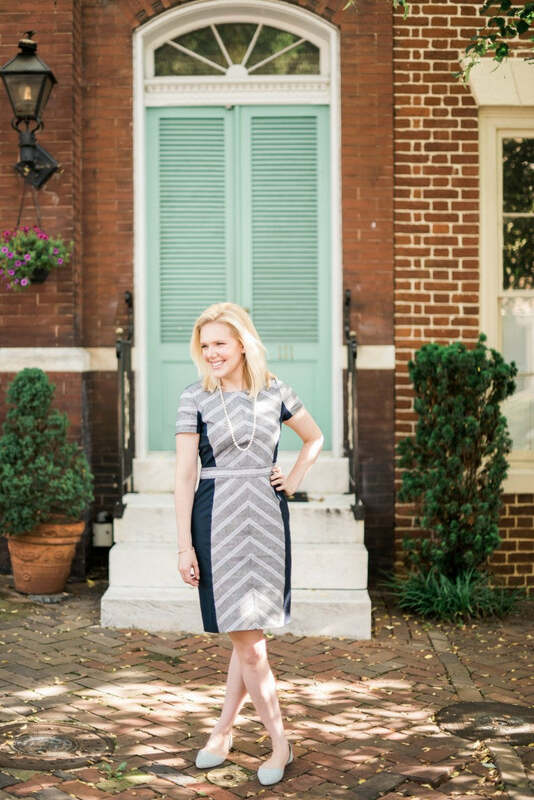 We love sharing Planner Profiles on the blog, so stay tuned for even more!